Episode 81, "Matthew Morgan Vs. the World"
Burke Devlin and Matthew Morgan have a rematch this episode, but this time they settle for verbal sparring over the physical conflict seen back in Episode 64. That doesn't mean they spare the threats, intimidation and violent innuendo, though. Like something out of a prison movie, Matthew wanders into the diner and pulls up a seat at Burke's table and makes his rather-large presence known. And he's got a very specific question he wants to ask: Why does Burke have to be so greedy? It's a fair question, especially from someone with such humble needs as Matthew Morgan. What the Collinwood groundskeeper doesn't understand is why a man as successful as Burke still craves more ("more" in this case meaning "Collinwood.") Burke smugly brushes off the question, promising Matthew that he'll still have a job once he takes possession of Collinwood. It sounds more like a threat than reassurance, so Morgan's response is appropriately nasty: "The place will burn down before you live in it." Burke isn't impressed. 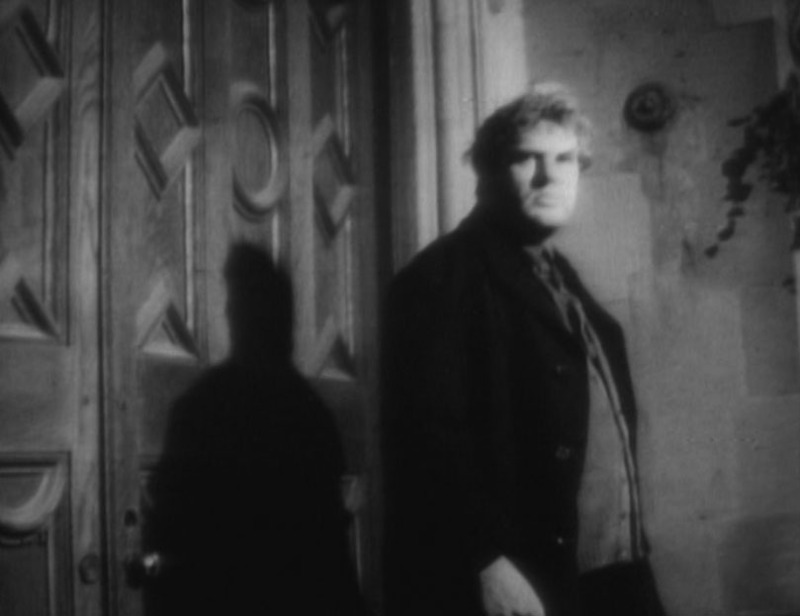 Matthew represents violent, terrified conservatism, a running theme of DARK SHADOWS. Like many of the show's other villains, Matthew can't let go of the past and is willing to destroy himself to protect something that's long since gone. Matthew wants nothing more than to protect his imaginary status quo, no matter how stagnant his world has grown. He fears change because he has trouble seeing a place for himself in any other world. For all his claims of defending Liz, he's really just defending himself. 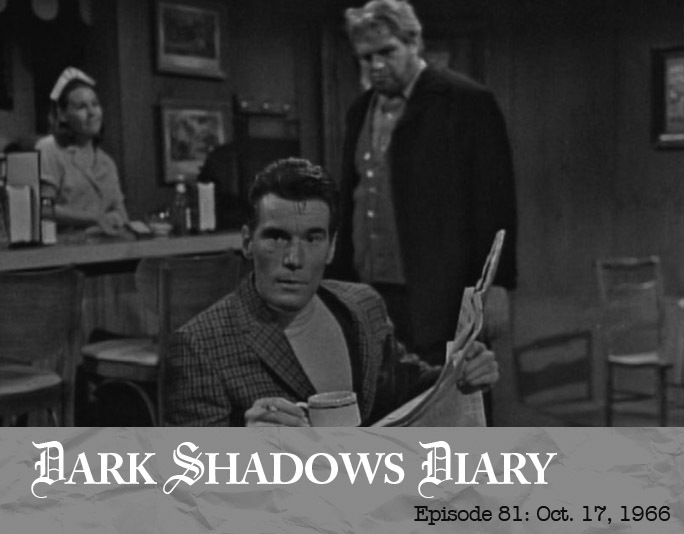 Which is why he's suspicious of Mrs. Johnson's arrival at Collinwood in this episode, even though her presence couldn't possibly matter to him. Collinwood's would-be housekeeper visits the mansion for her "job interview," a gambit by Burke to place a spy in his the home of his enemies. I still don't know why Burke needs her, unless his boasts of destroying the Collins family aren't as certain as he wants us to believe. 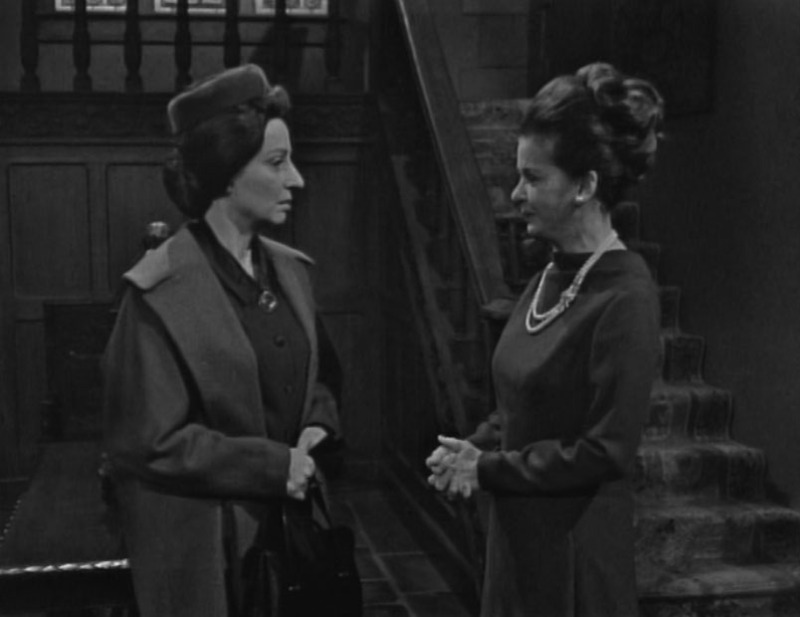 During her chat with Liz, Mrs. Johnson curiously stresses her devotion to discretion, mentioning how she never said a word about any of Bill Malloy's personal affairs. First off, this is a HUGE red flag for anyone conducting a job interview (something Liz probably hasn't done in two decades, so I'll forgive her.) Worse, it never occurred to me that Malloy even had personal affairs to gossip about ... and now I want to know what they are. I have to interpret this bizarre exchange as meaning Malloy had a few skeletons in his closet, and that both Liz and Mrs. Johnson were aware of them. Just to drag things out a little longer, Liz delays making any decisions about hiring the housekeeper for Collinwood. Mrs. Johnson later winds up sharing a table at the diner with Matthew, who does his best to scare her off. Not only does he warn her that Collinwood's ghosts are very real, he more-or-less threatens to add to their population by threatening anyone who tries hurt Liz. The housekeeper makes it through the accidental date with the shaggy hulk only to have Burke berate her for not getting the job on the spot. Mrs. Johnson makes it very clear she doesn't like Burke or Liz, not realizing she's found a soulmate of sorts in her co-conspirator ... who is as singleminded as she in her vendetta. Lucky for both of them, Liz has a change of heart in the final moments of the episode and calls Mrs. Johnson to let her know she's got the job.